The legal counsel, assistance and talent that you need to hold a nursing home or assisted living facility accountable for neglect or abuse is here at Carluzzo Rochkind & Smith, P.C. Our attorneys are talented litigators and serve people in Manassas, Prince William, Manassas Park, Gainesville, Haymarket, Woodbridge, Lake Ridge, Dumfries, Bristow, Warrenton, Centreville, Fairfax, Stafford, Chantilly, Leesburg, Ashburn, Sterling, Herndon, Reston, Alexandria, Annandale, Arlington, and throughout Northern Virginia. Our law firm has been fighting for victims’ rights and recoveries for over 27 years. In many cases, elders and other victims in nursing homes are facing a severe intimidation factor, or they may have difficulty communicating in the first place. Just as in other circumstances in which victims have been violated, they may be reluctant to tell anyone else about the mistreatment that they have experienced. They may try to hide their emotions and their physical wounds. If you notice that your loved one is acting differently and he or she doesn’t want to discuss the condition or mood with nursing home staff, it is reasonable to suspect some sort of neglect or abuse. If nursing home staff seem to have questionable explanations for any questions that you ask them about your loved one’s condition, call our firm immediately. Short staffing and poorly trained staff members can endanger nursing home and assisted living facility residents. Falls, bedsores, medication errors, poor nutrition and abuse from other residents are much more likely to occur under such conditions. At Carluzzo Rochkind & Smith, P.C., we protect the innocent and the vulnerable. Our lawyers take cases to trial for maximum compensation if the compensation that your loved one deserves cannot be settled through negotiation or mediation. We hold all responsible parties accountable, and we can be your committed advocates for past, present and future medical costs related to neglect or abuse; pain and suffering; punitive damages and more. Call our office at 703-361-0776, or contact us through email for a case evaluation. We are responsive and prepared to fight for you. We handle nursing home negligence and abuse cases on a contingency fee basis, and we look forward to speaking with you about your unique circumstances. 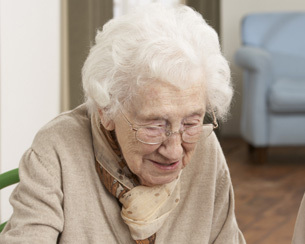 In most nursing home cases, we offer a free initial consultation.